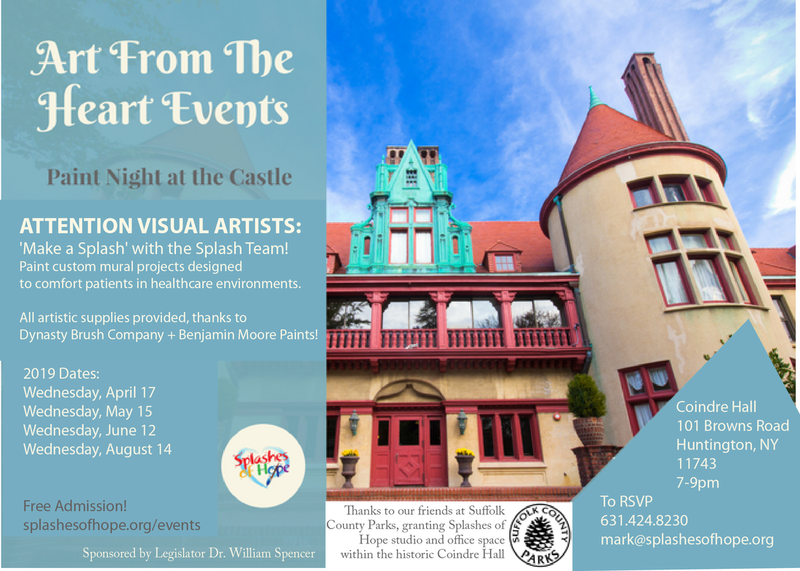 calling all artists: come to paint night at the castle! ​Splashes of Hope is honored to work in cooperation with Suffolk County Parks, ​which grants Splashes of Hope its office and studio space at the historic Coindre Hall in Huntington, NY. 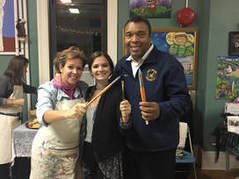 ​The Splash Team with Dr. William Spencer at a Paint Night!